To view the best panel beaters in Bankstown North, click on the profiles below. To get obligation free quotes from any of these service providers for the repair service you are after, simply use the "Compare Quotes" option above and below. Tony established this Independent Smash Repair shop in 1971. When his son Jamie was old enough he joined the family business learning everything he knows from a veteran of the industry. Together they have developed a reputation for doing the right job at the right price. 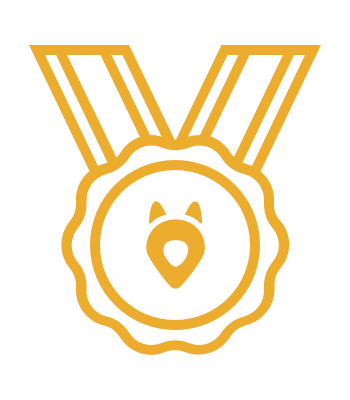 Tony Holden Smash Repairs works with most major insurance companies and does plenty of private work priding themselves on delivering a genuine personalised customer experience. They will happily pick up your damaged vehicle and deliver it back to you looking new again. When these two are not repairing cars they are restoring classic cars with Jamie being the President of the Falcon Restoration Club. The family knows how to look after you because they have been doing it for that long. 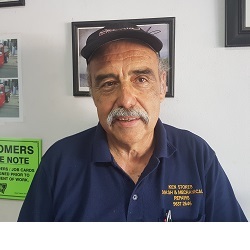 "A True One Stop Car Repair Shop Since 1946" At Ken Stokes Good St Automotive we provide our customers with exceptional service, value for money and quality vehicle repairs. Our customer is our Number One priority. 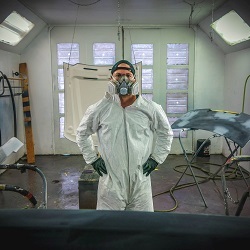 This philosophy has enabled it to develop from a local panel beating shop to an integrated facility offering smash repairs, spray painting, full mechanical service and repairs together with motor trimming and car care detailing. 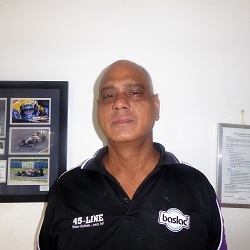 Ken Stokes Good St Automotive, smash and mechanical repairs, has been established in the Parramatta-Granville area for over 60 years with honesty being their trade policy. For the past 22 years Bob has been running this well known institution and more recently his son Jake has joined the family business. Your car is always in good hands as guided by Bob's mantra, "If I don't like the job, how can my customer?" This family business is run by two brothers, Sero & Renato. They have focused on building a solid reputation of fantastic service and fantastic workmanship. With over thirty years experience in the Smash repair industry their meticulous tradesmen know what it takes to return a vehicle to its pre accident condition to ensure customer satisfaction. Generous with their time and very knowledgeable in the industry you can be rest assured of a great experience from before you step foot into their shop. Serenity Smash Repairs works with many insurance companies to repair vehicles in a very safe and efficient manner without compromising on safety or quality. Offering a lifetime guarantee on all repairs at very competitive rates its no wonder these guys are so well known. 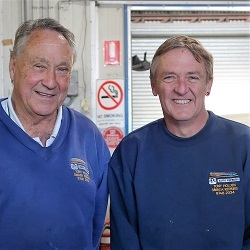 Tom has been in the industry for over 30 years opening his most recent shop, Tom's Autobody, in Peakhurst in 2018 to accommodate their growing customer base. Being the go to repairer for both a Mercedes and BMW dealership in Sydney you can be reassured of the best quality repairs using only genuine parts. In addition, Tom together with his administration team are known for their high levels of customer service always doing the right thing to ensure a happy customer. 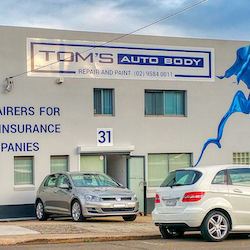 You know your prize possession is in safe hands at Tom's Autobody with the best quality repairs, great service and a lifetime guarantee on all work . Luxury and European Car Specialist Derek Bell has worked with prestige cars for over twenty years, opening his first accident repair centre in Earlwood in 1989. His extensive history of technical expertise has allowed him to develop one of the finest prestige accident repair centres in Sydney. 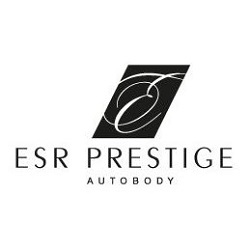 ESR Prestige’s luxurious new purpose-built facility opened in March 2011 on Canterbury Rd, designed to provide you with outstanding care and service, and ensure your car is looked after with the latest technology and processes. At ESR, we live and breathe the body and beauty of prestige cars, inside and out. - Prestige body repairs - SMART repairs, for small but important jobs - Bespoke detailing - Concierge services *Saturday and Sunday opening hours by appointment. Call to arrange. Dave and his team are specialist in Paintless Dent Removals/Repairs (PDR). A unique technique that involves repairing your car dents with special tools and skills removing the need for any paint or major panel beating. This usually means a cheaper repair done in under an hour. From hail damage to dings if the technique can be used Dentagon will get it done. 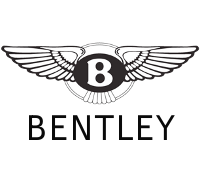 Dentagon has experience with Ferrari, Bentley, Porche, BMW and Mercedes, no car is too prestige. Having training from both Australia and overseas Dave is both skilled and passionate about repairing cars! Dentagon has a shop in Five Dock and also does mobile call outs. 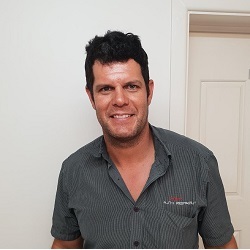 Merrylands & Holroyd Smash Repairs, lead by director Matthew, is leading the way in the repair industry providing quality vehicle repairs, professional customer service and utilizing innovative technology. Clients are provided with the very best in repair and paint work. 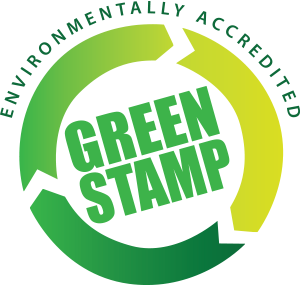 This claim is achieved through our quality workmanship and state of the art equipment. We realise that having an accident is nothing other than a pain in the rear end. We therefore take pride in using our knowledge, expertise & dedication to customer service and taking the hassle & headaches away from you. We understand that your vehicle is alot more than just another car - it is a extremely valuable investment to you. Our aim is to protect your investment by restoring it to its original specifications ensuring the value of your investment is optimal'. 'By incorporating the best technology available in motor vehicle repair, we'll have your car back on the road looking as good as the day you bought it'. Greystanes Smash Repairs is a fully licenced smash repairer operating in the Motor Industry for over 30 years and authorised repairers for ALL Insurance Companies! This is one of the leading smash repairers in the Parramatta area with clients from all over the Sydney greater metropolitan areas! The company is proud of its high quality & service standards and perseveres in meeting its clients’ expectations to bring accident damaged vehicles back to its Original Equipment Manufacturer (OEM) standard. Greystanes Smash Repairs specialises in fleet management, government contracts, major insurance companies, private businesses and individuals (who also need Australian approved modifications to vehicles). Business partners Joe and Vick run this local Yannora business. 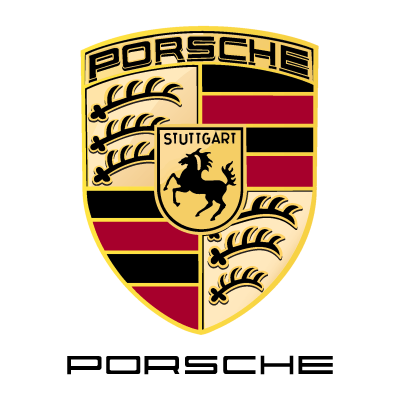 Passionate about the highest quality work your car is in the safest of hands. Combining years of panel beating and spray painting experience together with only using the highest quality environmentally safe paints you are guaranteed of a perfect job. 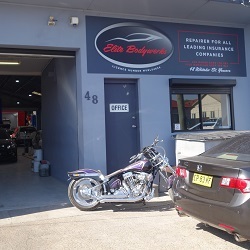 For any panel beatings or smash repairs in the greater Parramatta area look no further then Elite Bodyworks. Westfield Auto Body Repairs since its inception 32 years ago has been totally committed to producing the highest standard of repair possible. 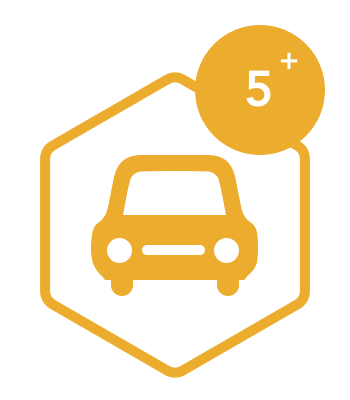 Our commitment is to return your vehicle to its pre accident condition and conforms to manufacturers specifications. We have quality control checks in place to ensure that problems are intercepted before they reach the customer. Our workshop has the very best in accident repair technology. 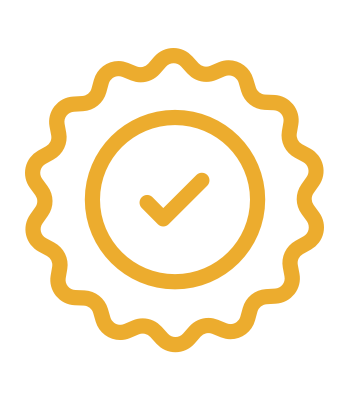 All of our work is fully guaranteed. 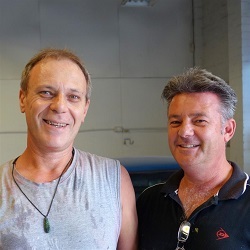 For any smash repairs in the Parramatta area come to Westfield Auto Body Repairs where manager Joe or owner Frank will look after you and your vehicle. 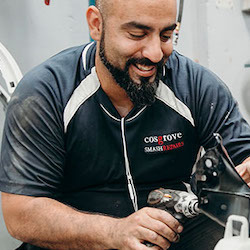 At Cosgrove Smash Repairs, our highly qualified car technicians provide expert service – no matter the size of the job. Whether you require extensive car repairs or just need to remove a few dents from your vehicle, we’ll get you back on the road quickly and safely. Our state of the art workshop is equipped with the latest car repair technology, from a DeBeer paint system to the latest inverter spot welder systems. We offer lifetime warranties for all cars repaired, too. (Conditions apply.) Discover excellent quality car repairs – for life. 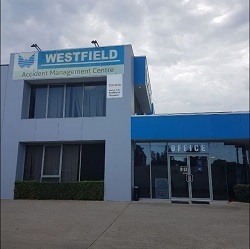 Our modern facilities are conveniently located in Strathfield in Sydney’s Inner West and feature an airconditioned waiting room and complimentary onsite parking, so you stay comfortable while we work on your car. Customer service is at the heart of everything we do – we’ve even won a number of local business awards for it. Our staff take pride in restoring your car to roadworthy condition, meeting all safely standards in the process. Fast competitive quote. Great communication... was even sent instructions with photos to find the repair shop. Overall a very good experience. Will use again.